policy has been prevalent since early American history. However, it has gone largely unnoticed since it took place primarily on the local and state levels, owing to constitutional limits on federal power during the slavery era. 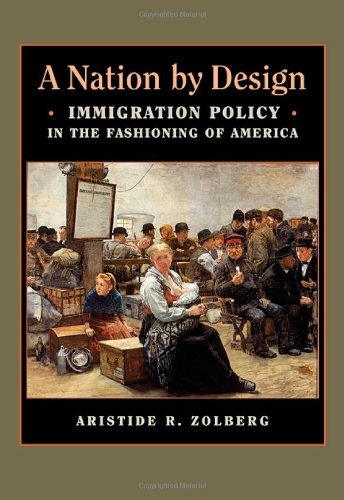 Zolberg profiles the vacillating currents of opinion on immigration throughout American history, examining separately the roles played by business interests, labor unions, ethnic lobbies, and nativist ideologues in shaping policy. He then examines how three different types of migration--legal migration, illegal migration to fill low-wage jobs, and asylum-seeking--are shaping contemporary arguments over immigration to the United States. A Nation by Design is a thorough, authoritative account of American immigration history and the political and social factors that brought it about. With rich detail and impeccable scholarship, Zolberg's book shows how America has struggled to shape the immigration process to construct the kind of population it desires. "An Intelligent and Effective Restriction"